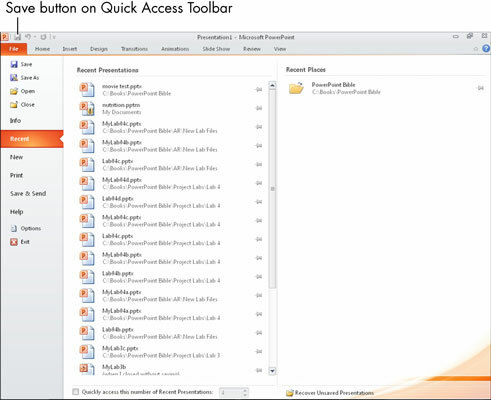 Click the Save icon on the Quick Access toolbar. Choose File→Recent and then choose one of the recently opened files on the right side of the File menu. You can also start PowerPoint and open an existing file at the same time by double-clicking the filename from any file management window (such as Computer or Documents) in Windows.